The new title of Kosuke Fujishima, the creator of Ah! My Goddess. 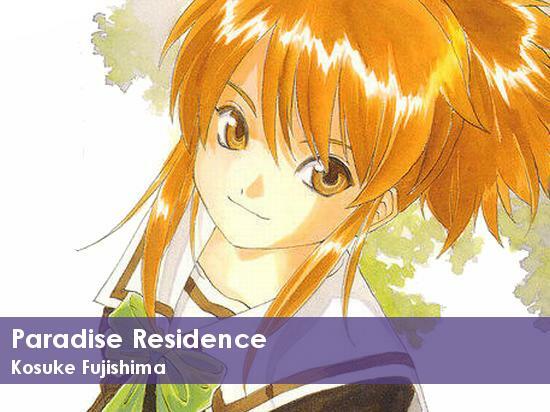 Paradise Residence is about the battles in the first dormitory of the Kikka Institute, where the mama of the dorm is a grade school girl. 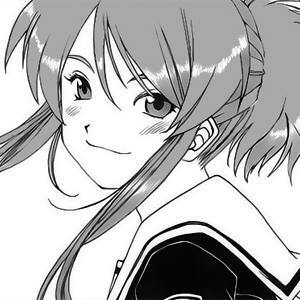 The main character is Hatsune Takanashi, a student at the Kikka Academy girls’ dormitory. She’s active and straightforward, she has trouble waking up, she hates natto, and one of her main three urges is the lust for conquest! Great news! Paradise Residence is returning and moving from Good! Afternoon to Afternoon, replacing Oh! My Goddess on the monthly magazine’s roster! YAY!